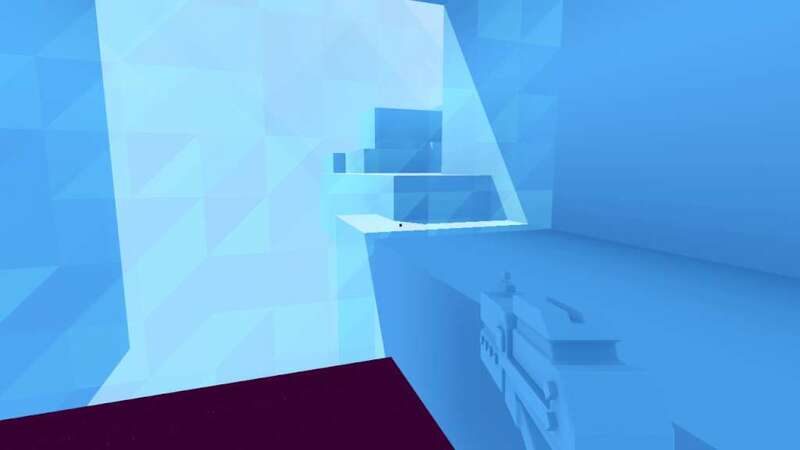 Glitchspace (currently in early access), is a first person puzzle platformer that's centred around a visual programming mechanic. 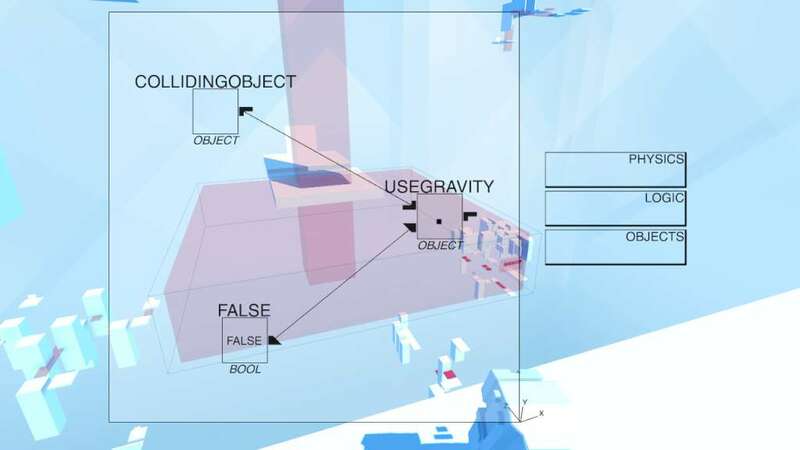 Stretch and scale objects to make a bridge, apply a force to objects, bouncing you up to high places, use your programming gun to fire code at objects, changing their physical properties in the game world! 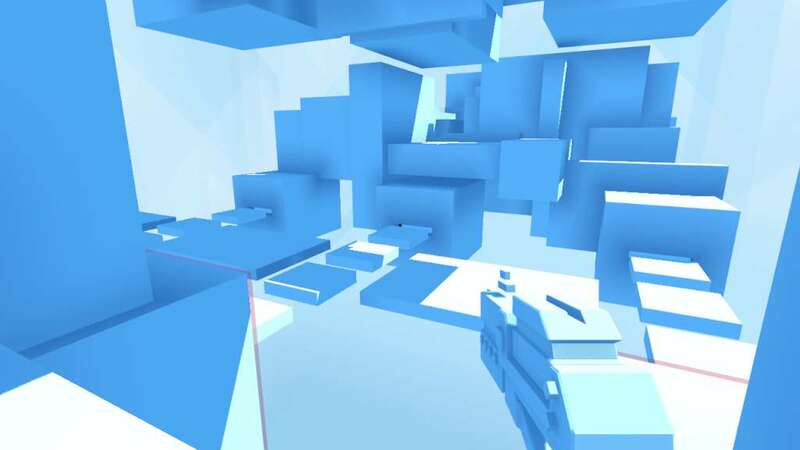 Set in a VR cyberspace world, you are trying to find a place known as Glitchspace - a by-product of cyberspace and its various glitches. A world that would allow for infinite possibilities, and access across all systems in cyberspace through exploitation. 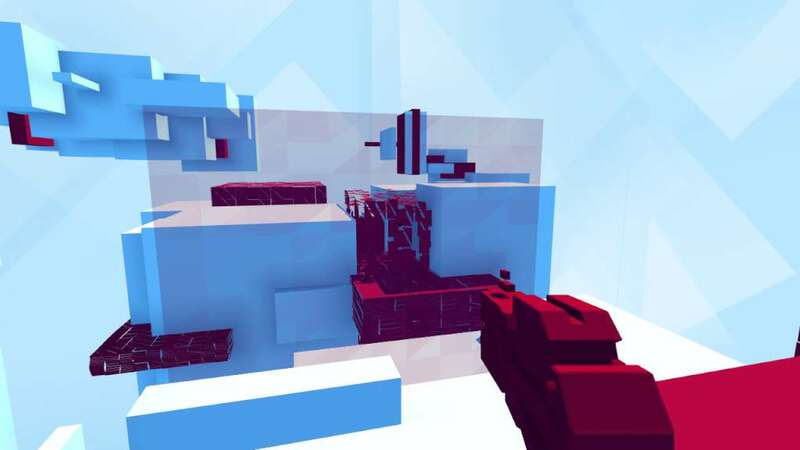 Through problem solving, it's up to you how you approach the in-game challenges; find glitches in the cyberspace world, and exploit them in various different ways, allowing for a emergent play experience. We created a node-based programming system for Glitchspace, called Null. Null allows for chunks of functionality to be applied to objects with ease, and makes the programming a visual, dynamic, and instantaneous feature. 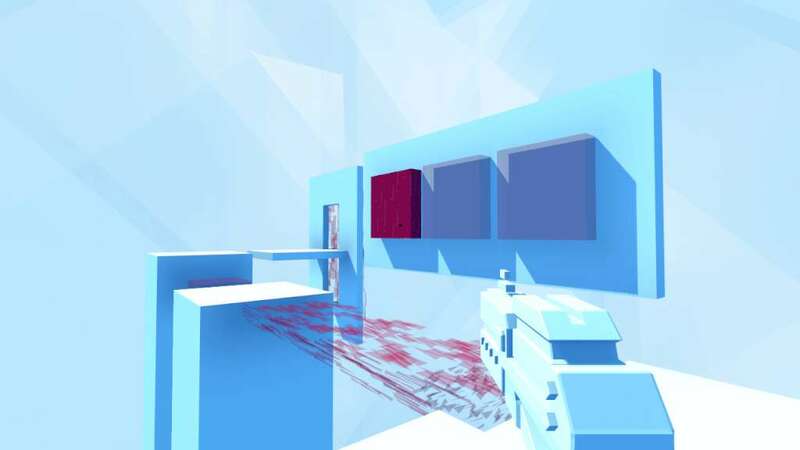 Objects in Glitchspace are either programmable, or non-programmable. You can make an object programmable through decryption using a decrypter, and similarly you can make it non-programmable through encryption using an encrypter. For each programmable object, a canvas can be brought up, and function nodes can be added to it upon the canvas. These function nodes have input and output connections, and can be connected to each other to create functional code that does something to the object, to another object it references, or to totally new objects it creates! OS: Windows XP. Vista, 7, 8.